Let me make a short introduction. I am from Tibet, East Kham, but I grew up in India and I lived there. I received my education there. In 1996, I arrived in Europe and till this day I have travelled through Asia and Europe. On my trips I share my knowledge with people. This is really good for mе, and I think it is good for others as well. 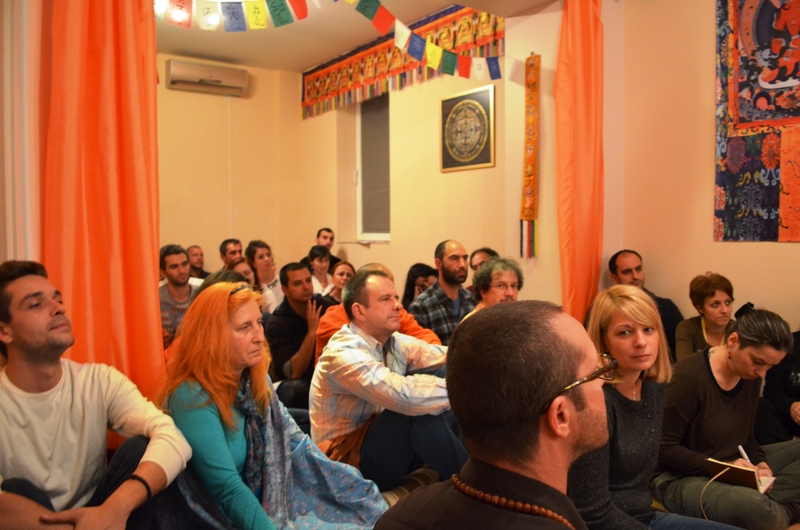 Today, I came to Bulgaria because I was invited by Palyul Center to talk about Life, Death, and Rebirth. I only share information. I am not a perfect teacher and I make mistakes too. I have many good as well as many bad characteristics. However, all my life – since my birth – my good characteristics are more than the bad ones. Knowing myself, I am happy it is this way. This is why I am sharing my knowledge with you. This is why now, you should not think that I am somehow special, that I am a Bodhisattva or an enlightened person, blessed by God, or special. Not thinking like this presents a more balanced view. It is best, if you think of me as an absolutely normal man. To hear people talking good things about you can cause pride, which is an obstacle to your practice. You should only take into account that I have experience in teaching. As the result of a long practice, I have more experience in the teaching of life and death. It should be also noted that I have the good and sincere intention to share this knowledge with you. This was my short introduction. Today we will talk about Life and Death. I think that you know quite well about the ways of life, while death is something which remains not well-known. We are human beings and there will always be life and death around us. When people talk about life, they relate it to the body and the mind. Mind is the Buddhist name for what in the West we call soul. The body and the mind (or the soul) have a very strong connection between each other. The different experiences that we have – sometimes suffering, sometimes joy – taken together, are called life. When this bond wears off or is disrupted, the body and the soul get separated. This is called death. That’s why death is never too far and it’s not something bad. It’s just the separation of the body and the soul. Now you know that life is the body and the soul together. They have a very good connection: sometimes they are happy, sometimes sad, but the body and the soul have accepted to live together and to keep the warmth between them. This is called life. The body is made up of five elements. This body is a gift from our parents. No matter what the specific circumstances are, in the right time and the right moment, the tender feeling of our parents creates two “eggs” (bindu). The one of the mother is a blood red bindu and the one of the father is a white bindu. When the two eggs come together, the essence of the five elements (water, earth, air, fire, and space) comes into being. These five elements have different qualities – fire gives us warmth, air (wind) helps us grow, and water gives us softness. Strength comes from the element earth as well as the bones and flesh. If the space is too tight, we won’t be able to grow. That’s why there is also the element space. These five elements give the opportunity of our body to grow. For the period of nine months, the body changes continually. In the beginning, there is nothing, but a tiny “egg”. Week after week the shape changes and after a few months the baby starts slowly to look like a human. When two parents join their male and female bindu, the soul (the mind) joins with them. This is so because many souls look for their home, for their “house”. Different people have reached a different level of development, so different souls have many different feelings, light, thoughts, and ideas. When a man and a woman make love, the soul can see a wonderful light there and say: “Oh, I would like to go there!”, and the soul joins there. Souls are at a different level, they have different strength, different energy and karma. Therefore, they join different parents. When some weak minds see an animal making their “egg”and like their light, they can join them, reincarnating as an animal. The body is the five elements. Therefore, it can burn or get old and die. Everything can happen to it – we can get a cut, wind can destroy us, water as well. However, the soul can’t burn. Neither the wind nor the water can destroy it. You can’t bury the soul in the ground. You can’t lock it into a metal box. You can’t touch it. Irrespective of me being here, my mind can think about Asia, India or America – there are no limits to it. The body dies, but the soul never dies. It’s not easy to destroy it. That’s why the soul always awaits a place where it can join a new life. The same can be observed in our current life – we can be here now, but at the same time we can look for a better house. Should it be in the center of Sofia or would it be better if it’s outside the city? We are all looking for a home. This is so because the house of our parents is too old. That’s why my soul can’t live there anymore. I can’t live there, so I start looking for a new home. After a person dies, after the separation of the body and the soul, the soul looks for a new home, because it lasts longer than the body. The body can reach 75, 80, 100 or 110 years of age and afterwards it’s already tired and worn out. However, the soul has a long life. It “lives” until it reaches enlightenment when it transforms into wisdom. This is its “end” and only then we can say that the usual soul “dies”. The soul is in constant motion from life to life! It enters the cycle thousands of times, because there is no force which can kill it. That’s why the soul is always present. After we part from this life, we are going to search for our new home (the body) and when the two bindu join into the making of an “egg”, the soul will find its new place, its new home. Because for a period of nine months the soul and the body are in the womb together, they create a really strong bond and a friendship between each other. That’s why from the moment of our birth, we are so attached to our bodies. When the connection between the soul and the body strengthens, it is called life. Is it clear until now? It’s important that you ask me questions, if there is any doubt about discussed things, because most people think that there is nothing after death. This is limited thinking. In the end of their lives they feel like this: they say to themselves “I am doing good deeds to people, I worship God, but at the end I die and there is nothing…Why?!”. You shouldn’t worry. Until you are enlightened, until we free ourselves from suffering, until we reach complete wisdom, our ordinary mind will always learn and will change. Until we transform this ordinary mind, we are going to continue with death and just another body. We live for some time, we die after the separation of the body and the mind, then we find a new body and we live again and so forth. We can find many bodies, but the soul is one. Sometimes I can find a body of a chicken, weighing 1 kg. Sometimes I can even find a body which weighs less than a kilogram and which belongs to an insect or a small butterfly. Sometimes I can find a body of a big animal such as an elephant. I can find many different minds, snake bodies and all sorts of bodies. One time I can take a female body, another time the body of a man. In this life I have a male body, but in the next one I can have a female body and I can even be a beautiful woman [He laughs]. Hence, the soul never dies. This is called reincarnation. Irrespective of whether people believe or not, this is the natural process. Through common sense and logic you can think: “Okay, it is obvious that the body can be burnt and destroyed, but the soul…While I am staying home, my mind can easily go out and it can travel anywhere. Nothing can destroy it: no weapon. It is always alive”. 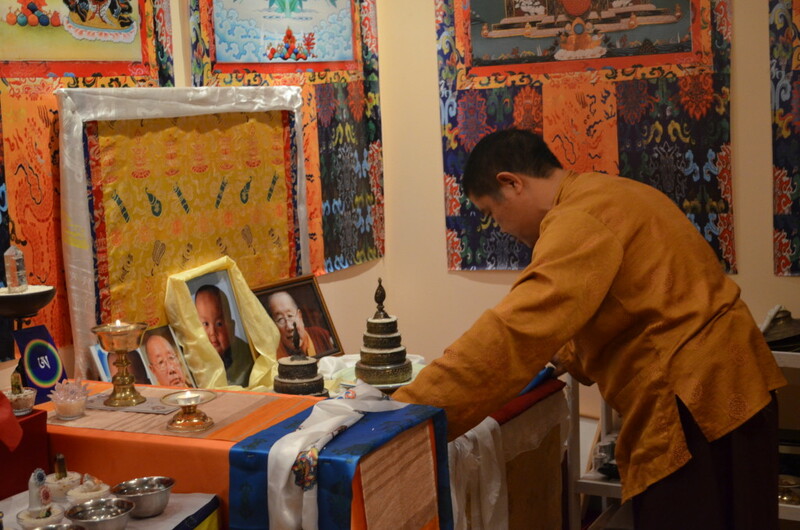 The soul exists for kalpas (eons), it lives for thousands and thousands of years. That’s why you are reborn thousands and thousands of times. Don’t worry! [He laughs]. [Question] How many times can the soul be reborn? We can’t count how many times the mind is being reincarnated. I, myself, don’t know. I am a mortal and I am not a clairvoyant, but by using logic, I think that the soul is immortal. It will always search for a new home. Just like a human who has been left without a house, who wouldn’t want to stay at the station or in the metro and who looks for a shelter. Thus, reincarnations can be thousands or millions. According to Buddhist philosophers, if you collect the tears of a newborn from its different reincarnations or those of the mother crying for its baby, they will be more than an ocean. It’s the same with bones. If you collect all bones from your previous lives, the heap will be higher than a mountain. In this life I am Tibetan, but in the next one I can be Bulgarian. We change all the time. That’s why reincarnation is so interesting. [He laughs]. The body can be a support for the soul. Don’t be weak and don’t think: “Oh, I can’t do anything…”. There is no need to fall into such depression. You can make your soul extremely powerful and become an extraordinary person. You can make you soul enlightened, make it sacred. With your mind you can do good, you can do evil, you can do whatever you want. That’s why the body has to support the soul so that you can turn yourself into a holy man, a great teacher or a great helper of people. The soul is strong and with it you can accomplish a lot. This is called life. When it comes to death, when we die, our soul needs a peaceful and happy departure. This is very important. Otherwise, if after death the soul feels guilty or it has remorse, it becomes afraid, nervous, and it can turn into a ghost and to dwell into its dead body. That’s why in our present life we can develop our mind, we can make it strong and we can prepare it for a light and peaceful journey after the death of the body. Let’s talk a bit about death. Death is like a dream. While we are sleeping, our whole mind and its five senses cease to function and dissolve. During these 8 or 12 hours, the body is as if dead, its energies dissolve, but the mind continues to function separately, going for awhile in a state of Bardo where it dreams different things – that it flies, that it is with its relatives, it can have nightmares, etc. In the morning, we return back to life. Hence, the dream for the body is like a short death and dreams for the soul are a short Bardo. The actual death happens at the moment when the body and the soul break their union, when the body is too weak and old and it can’t sustain the soul in its home. Then, it remains alone and enters a state resembling a dream in a Bardo state. The five elements of the body dissolve. Just like a tree which is very beautiful and lively, but when it dies, it falls and dies and its five elements dissolve. In the same way our life goes through growth, old age, and finishes with death and dissolution of the five elements of our body. In the moment of death, our mind is very weak. When the dissolution of the elements starts and death is near, we should be aware: “Okay, the time has come to leave because my body can’t take it anymore and it starts to dissolve. I can feel this – I don’t hear well anymore, I can’t see and I have no taste”. Then, we have to be ready to take care of our soul. Otherwise, because of illusion or of deception, it can become a demon or a ghost. In the time of death, it is necessary to liberate ourselves from the attachment towards our husband, wife, or all sorts of belongings. You can be attached to someone of something, but you can’t take it with you. If a person is attached, his/her soul won’t be able to travel peacefully. This attachement can become so strong that the soul cannot liberate itself, but dwells in a given place. Then people say that there is a ghost, sometimes we even see or hear it – it means that there is a soul which is attached to something. It is very difficult for these souls to find a body. They can’t take anybody’s living body although sometimes it is possible that a spirit enters the body of someone and s/he starts talking and behaving strangely. These souls which have turned into ghosts or demons are not bad. They are lonely and afraid to leave the life that they had until now. That’s why they want to continue living in their home, but their relatives are afraid of them. Other souls die full of anger, especially if they are victims of murder. They can wish to come back and seek vengeance. These souls also can’t have a happy journey and stay in the form of demons or angry ghosts, creating problems for their family. There is a story about an elderly man in India who got married to a younger and beautiful woman. He was much in love with her, he was immensely attached, and he had some money set aside. Hence, after he died, his ghost continued to return to their home, so the woman was terrified every evening. Few travelers saw his ghost on a nearby bridge. 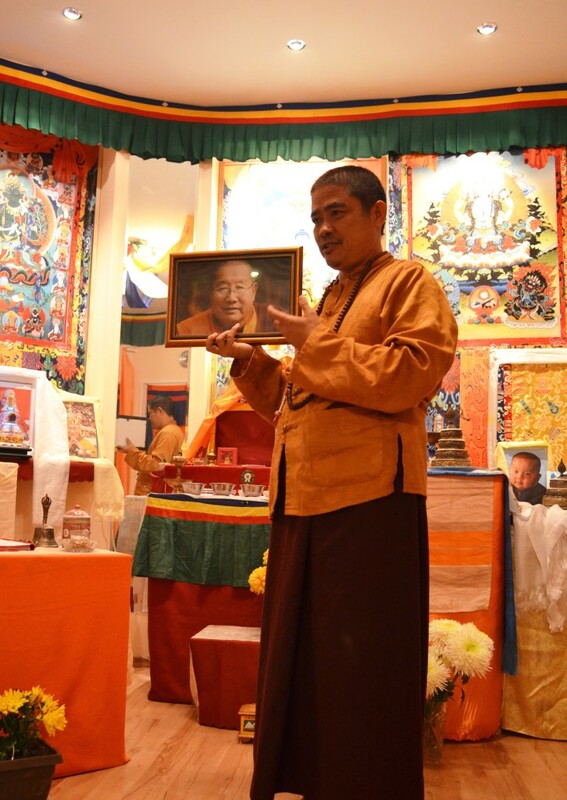 His Holiness Penor Rinpoche [the teacher of Pema Rinpoche] prayed for the soul of the man and liberated it. When the end of life comes close, you have to take good care of your soul. 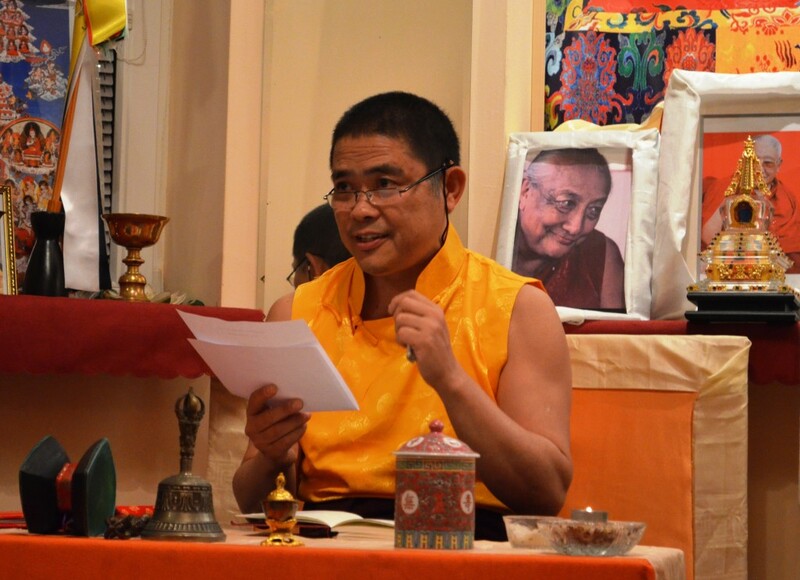 No one else can do it for you – not your physician, your teacher, your priest, or a Tibetan lama. You have to take care of your mind alone, be strong and not get attached to your wife, your husband, or children whom you won’t be able to take with you anyway. 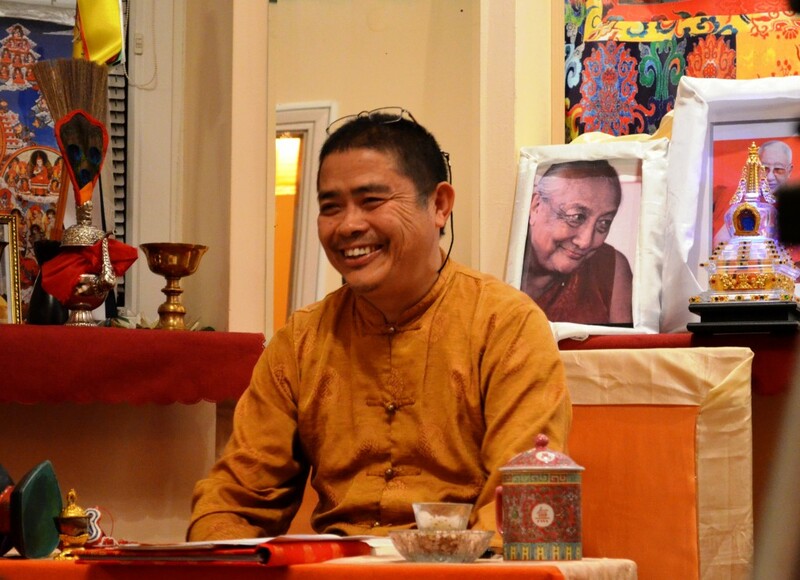 You need to set forth on the real road towards the place where you can help many more beings. In the moment of death you need to accept with a pure heart and compassion (Bodhicitta) the thought about the upcoming road to our new body with which we will go back to and help others. This is called a peaceful journey – we need a good reason to leave. This differentiates the death of animals from the one of people. When an animal dies, the soul of the animal does not have a clear idea about what is happening to it. The soul of a person has a better idea and hence more possibilities. That’s why it is good in the moment of death to be compassionate and to wish our relatives, our folk and all people and beings to be free from suffering and illnesses. This must be the reason to go forth on the road to our new body – to help them. This is a truly powerful way to face death. That’s why we shouldn’t be confused. In any case, we will die – no matter whether we are happy or sad. We are human beings and we should be prepared about death – this is really important. People can help a dying person with kind words, prayers and wishes so that they calm him down. For instance, they can tell him/her: “Yes, I see that you are coming close to death, the time for your journey has come and you need to take care that your mind is calm, you need to open up your heart”. The soul can understand these words because in the moment of death it is very weak. No matter what the person is – a teacher, a student, Christian, Muslim, good or bad – in this moment his/her weakened soul will accept the support of kind words. We should say them loud and clear – for women in their left and men their right ear – again and again so that we can help them avoid an illusion. Is this clear? This is an important topic. We are all going to die one day. Only those who have reached enlightenment don’t need such help. They are completely free and they even rejoice death more than life. [He laughs]. The dissolution of the five elements is also very important. While we are alive, the five elements grow and in the moment of death they dissolve – this is reality. This is dessolution of the inner energies of the body until they disappear. First, the element earth dissolves into the element water. In this moment we feel a heavy burden as if a mountain has been laid on us. Many people, while they die, ask to be raised and receive more cushions, because due to the dissolution of the elements, they have the feeling that they are falling through. When we feel this, we should know that dissolution has started and the start of our journey is coming closer. We shouldn’t be scared or nervous. In this moment the mind weakens. Also we can start seeing blurry images – they are not real, but they are an illusion. After this, the element water dissolves into the element fire and bodily warmth dissolves into fire. Water in our body starts receding, the body withers, our breathing becomes difficult and it becomes difficult for us to eat and talk. In this moment, even ten blankets can’t warm us up. The body starts getting cold from the legs. Sometimes something like smoke can be seen to go out of the head of the dying person – this means that warmth is leaving. Then, our sight can become unclear as if we are in a fog and an unpleasant feeling can take over us. After this the element fire dissolves into the element wind. When this process ends, the body cools down and its warmth disappears. Then, it becomes difficult for us to recognize our relatives and the people around us and our memory becomes unstable. In this moment, breathing dissolves into the element wind. Breathing in becomes very difficult. For example, when my father was dying, I was helping him and I observed the dissolution of the elements. In this moment, it was really difficult for him to take a breath and after his last breath, when he died, he felt relief. Then breathing dissolves in the inner wind. After this, wind dissolves in the soul because it vibrates just like the soul. In this moment, breathing disappears completely and the soul (mind) becomes exceptionally clear. This is so because while we are alive, we continually breathe in and breathe out in order to allow the wind in and to feed with energy the soul for its journeys and activities. Hence, while we are alive, the soul never calms down. However, when breathing and our inner wind cease, the soul calms down. Just like the surface of water – when wind is blowing, it moves, but when the wind stops, it too calms down and we can look into it. In this moment, a good friend can help a lot. If you are strong, you can handle it yourself, but sometimes you are very weak and you don’t have enough strength. Then you can ask a good friend before hand: “Please, if I enter an illusion when dissolution starts, guide me to muster my mind, to calm it, and not feed into illusions. This would be of great help to me”. If you are weak and you receive such support, it will bring you peacefulness. If you have more strength, you will be able to manage on your own. This moment is difficult because your relatives with whom you have a deep connection are around you, they look at you and cry, talk emotionally – all of this makes concentration for the achievement of peace really hard. Then it is important to be strong and that’s why a good friend can help you. In the end of the dissolution, you can’t talk well. That’s why it would be useful if you have a bell with which to signalize what is happening with you. Usually, when someone dies, everybody around cries and hastles around. That’s why you can make use of such a trusted person – a relative or a close friend – whom you initially ask to not be afraid and worried so that s/he can help you during the time of dissolution. Three weeks ago my uncle died in India. I was there and everything happened as I told him. Since he was having very serious illnesses such as pancreatic disease and cancer, he had to take painkillers. My uncle kept them for the moment of dying when the pain is the most serious so that he could alleviate it and help his mind to concentrate. Some people die easily and peacefully. Others pass away in great suffering. The reason is that people are different. That’s why they are facing different challenges. When my uncle was dying, he gave the proper signs. Sometimes in the moment of our death, when people around us are not familiar with these things, they can’t read out the signs which we give them. For example, when my father was dying, he gave my mother a sign and she thought that he wanted soup. [He laughs]. Actually, he was giving a sign for the sacred pills which are dissolved in water and are taken before the moment of death. I understood what he wanted and I gave them to him. However, my mother had swiftly gone to the kitchen and when she returned, he even frowned that he didn’t want soup because he couldn’t talk anymore [laugter]. That’s why these things need to be known – so that when the moment comes, the dying person as well as those around him can react adequately. Otherwise, you can get reborn as a ghost, a demon or something similar. You have to hold your soul firmly and wisely. Otherwise, it can get deceived by the illusion and its journey can be more difficult. Don’t think that this regards only other people. You have to think about it and feel it, but actually this is exactly what happens when you die. Then you realize that it’s already too late. Now it’s the time to prepare and organize yourselves. Many people do this by arranging the inheritance of their property. This is something good, but actually it is not that important. It is much more important in what condition your soul would be when the time for its journey comes – how wonderful, strong, calm, organized, and generous you would have made it. If in the moment of death you don’t have strength, ask a good and trusted friend to stay with you, to read your signs and to help you. This is much more important than proprietary issues. The things I am sharing with you regard you personally no matter if you are young or old. Don’t think: “Oh, these things are relevant to others, to animals or other human, but not to me”. At the end of your death, your soul dissolves in the element of space, but it doesn’t disappear! In this moment, all your senses are blocked. In the very end, when everything has dissolved, the last three drops of blood enter the heart. Breathing ceases completely when the heart beats for the last time, when you inhale for the last time and then you exhale. Exactly then, your trusted friend can help because the outer breath has disappeared, but the inner breath continues. In some people, the soul remains in the body for 2 hours, in others for an hour or a bit more. It is different for different people. In the beginning, we grow from the five elements and when we die, they dissolve. However, the soul is still there. The father’s bindu or main “seed” dwells onto the tip of the head and the mother’s main “seed” (egg) lives in the belly button. In this moment they are still there and they start to also dissolve. The father’s bindu moves down. Then our senses change, because our soul has no place where it can stay since the father’s side starts dissolving. We feel that the sky is very clear, without fog and clouds, the moon is clearly visible and everything is white and bright. In this moment, the 33 types of anger also dissolve. Afterwards, the mother’s “seed” – the blood red bindu – starts dissolving, going up. The father’s and the mother’s bindu are the essence of our body. We feel a clear sky and sunlight again and everything is red. Then, the 40 types of desire also dissolve. When the two sides meet in order to dissolve, your soul is also inside. In this moment, we feel darkness, we don’t see anything (not the sun, neither the moon), our senses have already dissolved and we can’t use them. Everything turns into darkeness. The soul is stressed by this and goes into unconsciousness. Usually, it lasts 3 days (practicioners don’t need this time period, because during this time they have already departed). While alive, a person has enjoyed life so much, but suddenly everything disappears. S/he is shocked and falls into unconsciousness. After 3 days the soul wakes up and it is very pure, natural and full of wonderful light. In this moment, the practicioner can realize that this is the natural state of the mind (the soul); this is a moment when you can find understanding, catch it and meditate on it. 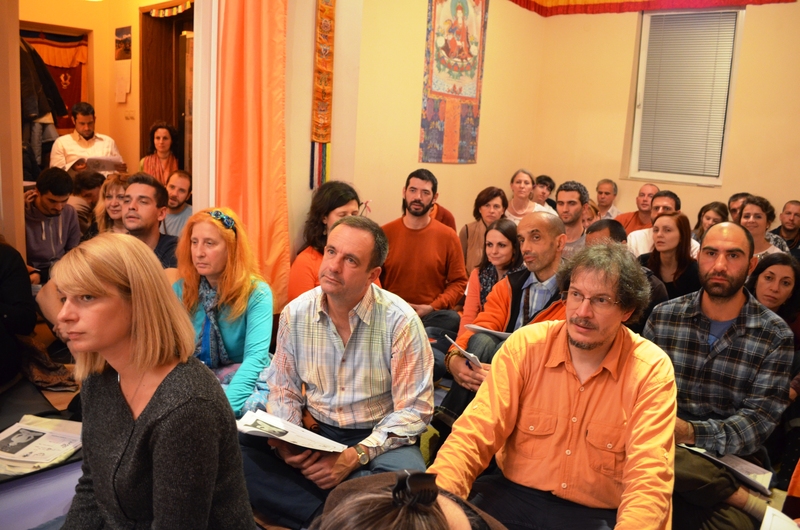 Then, in this moment, you are enlightened – you have reached a natural state of Dharmakaya. This happens if you realize what’s happening. If you don’t, you enter illusions again. After you wake up, if you have the strength to realize what’s happening, you reach enlightenment. In other cases, during the few minutes or maybe an hour or two while you are still in this state, a great practitioner or a great friend of yours can help you realize that what you feel in this moment is your natural state of wisdom which you should keep. If in this moment you start with illusions again, even if you have been told 100 times, it will be very difficult for you to realize it. After waking up from unconsciousness, the mind (the soul) still can’t realize, can’t believe that it is dead. The body is not there, but the soul continues to feel that it has a body – a mental body. The state between death and the next life is called Bardo. The souls of most people spend 49 days in this state of Bardo. Some people can stay in it a year, but most people stay for 49 days. Afterwards, they can find a place where they get reborn. There are 6 places where you can get reborn – the domain of animals (when two animals create a fetus together, you can join them); of hungry ghosts; you can enter the realms of hell; of human beings; of demi-gods; or you can go into the spheres of the gods. You can get reborn in all these domains. This is different for each person and it depends on your actions at the moment. Your journey will lead you to different places according to the deeds that you have accumulated. In Bardo there is no sun or moon, only your own light. In this moment you can easily go wherever you want. If I wish to go somewhere now, I won’t be able to do it, but because the soul is free, this happens easily, for just a second. In Bardo, the soul has no definite home. It can live in different places – in caves, mountains, rivers or trees. Then it has no definite friends, but it continually meets and communicates with different souls – sometimes with dead people, sometimes with alive. Concerning food – you can see very fine and tasty food, but you cannot eat it. You can feed on just its aroma. Only if someone gives you food, you can receive it – you can’t take it alone. Souls in Bardo also possess clairvoyance: the so-called “ordinary” clairvoyance. They know what you think about them, what you talk, they clearly understand everything – in this moment they have clairvoyance. Now we don’t possess clairvoyance and we don’t know what others think because our body is too polluted for the soul living in it – it is confused and it doesn’t see clearly. That’s why when the soul enters Bardo alone, it is very pure and it possesses clairvoyance. Then it can go everywhere: for example, on the beach where there is water and sand; however, it can neither see its reflection in the water nor leave steps in the sand; it also doesn’t have a shadow. In this moment, we realize that we are dead when we see this. We are overwhelmed by sadness and anxiety. We think about what’s the best thing that we can do, we remember how many bad things and how few good things we have done and this brings us a feeling of guilt. We are worried that someone from hell will come and take us. Then we can go back to our relatives, listen to what they say, but they can’t hear us. This makes us very sad. We tell to our hustand or wife, our children, our mother or grandfather not to cry because we are there with them, but they can’t hear us and they don’t know that we are there. Then the soul is unhappy. It can go to a priest in a shrine or to a lama where it has dwelled before. Due to its clairvoyance, it can understand that their prayers have been fake, the product of a desire for money. It can understand that it has been lied to and this can enrage it. While we live in Bardo, we have this type of emotions. We remain in this state for 7 weeks. With each week, the mind is more and more scared and nervous and it changes. During this time, it is good that our relatives and friends pray for us and help us with good deads. Half of these 49 days, maybe 3 and a half weeks, the soul has a strong connection with its previous life and relatives. During the second half, it starts to tune to and feel its new reincarnation. It expects its new home. With this we end the topic of life and death. We shouldn’t worry – everyone will find his/her place to get reborn. It will be difficult for the one, who in the end of his/her days, has not taken good care of his soul and has attached to his relatives and stayed there for years. Ordinary people, after they die, can always find a place for their new life. This place is different for different people – some rich, others poor; some wise, others not so much; some with a beautiful body, others not. It all depends on our core. If you have good motivation or if you have done good deeds, the consequences for you will be good. If you have done a lot of bad things, consequences will be bad as well. That’s why it’s different and it depends on your karma. It’s very dangerous if after your death, you become a ghost or a demon. Even great teachers in Tibet have become ghosts. Great teachers and practitioners had also become ghosts, because they didn’t know how to contain their soul. This is the core of the problem. They could have been professors. They could have had wonderful education, a good idea about things. They could have been famous, really rich, with great power, but at the end the soul, irrespective of whether you are poor or rich, wise or famous, is not different, but remains the same. This is very important. For instance, in Japan there are a lot of ghosts who were not able to contain their souls at the time of death and they have remained in their homes. Once when I was in the cultural center in London, I saw an old lady who was sitting and not talking to anyone. Then I said to the owner that someone should go and take care of this old lady. He told me that there was no one, so we went to check and there indeed was no one. Then he told me that this was the previous owner of the house who was still dwelling in her home. It is very easy for you to become ghosts or demons. We should be careful because we are human beings. We should prepare now so that we don’t become ghosts or demons. We should be strong and not obey our desires and passions. Do we choose the parents that we get reborn to? This is not our choice. It is different and it depends on your karma – the more good deeds you have accumulated, the better you have prepared your soul, the more beautiful the home that you discover would be. If you haven’t accumulated good karma or if you have anger, then you can get reborn into the spheres of hell or in the animal world. For example, you can like a pair of snakes creating their egg, you can join them and you can get reborn as a snake. That’s why rebirth is not your conscious choice. Now, while you are alive, you can make a choice about where you will go and get reborn into. Prepare now. 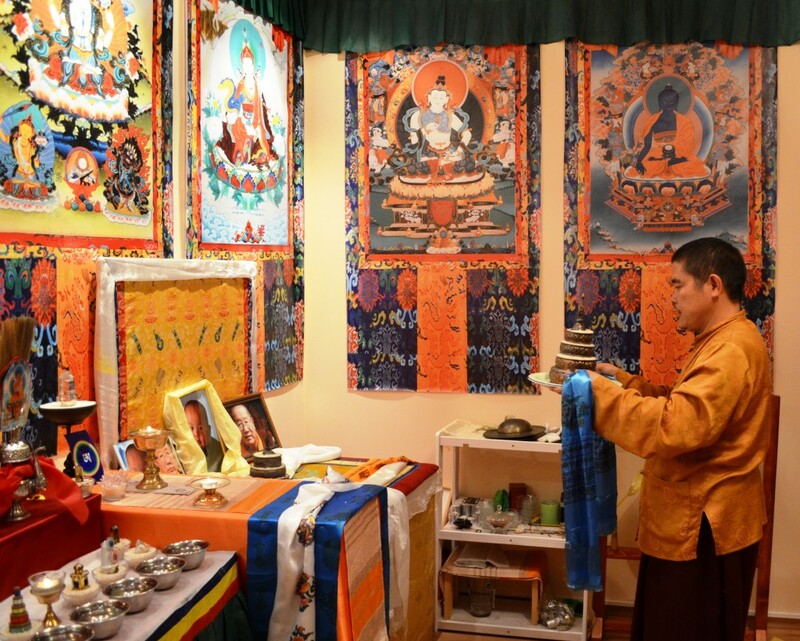 Do lamas in Tibet help souls in Bardo? Lamas help people before death, guiding them how to prepare and accumulate positive karma, because that’s all that they can take with them and not their material possessions. They also help after death, but the strength of their help is not so strong, because they act according to the laws of karma. For instance, if you enter prison, we as outsiders can’t help much, but send you positive thoughts, because the judge (karma) has already sentenced you to serve your sentence according to your deeds. When in Bardo, even if Buddha or Jesus comes to you, you won’t be able to see them, because karma is blind! The karmic bond leads you somewhere and if you can’t see them, there is nothing that they can do for you. The karmic law is too strong – there should be punishment. Otherwise, it won’t be fair – many souls will start complaining why other souls receive help and they don’t [Laughter]. After death does the soul/the mind remain whole or it crumbles into pieces regarding that just like everything else, it is impermanent? The soul/ the mind always remains whole. In the same time, it is impermanent, but it changes its state so quickly that this remains invisible to us. Because the soul is changeable, we are reborn time and time again. If it was permanent, it wouldn’t need to get reborn. We would have the strength and compassion to be reborn somewhere where we could help the most. Since the mind is impermanent and in the hold of illusions, even if it desires to be reborn somewhere, it can’t because of karmic laws. When exactly does the state of Bardo begin and end? After you die, at the end of dissolution, 3 days of unconsciousness follow. After you wake up, you have one or two hours during which you are free and you have the chance not to enter Bardo – this is the border. Then you enter a state of Bardo which continues until your next rebirth. It is different for different people – some people remain for a week, others don’t need to remain in Bardo, some people remain for 2 weeks. It all depends on how much the soul realizes its condition and how fast it can find a new way to get reborn. You remain in Bardo for a short time, because there is not much space. It is good that you do your job there quickly so that you don’t make a queue. [Laughter]. Bardo is the time for you to solve your karmic “sentence”. Time there passes differently because there is no sun or moon to guide it. Can we get reborn back in time? When death is unexpected how do the processes of dissolution proceed? Everything happens in the same way, just faster. If death is natural, at home with relatives, then processes can be monitored. What according to the Tibetan tradition should be done with the body after death? Should it be cremated, buried or given to birds? There are different cases. Sometimes, when the person has died from a very serious illness, it’s not good that his body be buried, because smoke can be unhealthy for others. Then special rituals are made with sacred substances and the body is placed in sand in the ground. If the body is healthy and well, after an astrological study according to the calendar is done (when has the person been born, what zodiacal sign s/he is and what is best for him/her), it can be burnt with special rituals (Kalachakra). Sacrifices and prayers for the dead continue every day for 49 days. The ashes of the dead are kept, it is cleaned with water, after which it is mixed with sacred earth and small stupas are made. The ashes can also be laid in a sacred place, somewhere where a great teacher has meditated, so that they can be blessed. A small stupa is kept at home for the dead to be commemorated. At some places in Tibet, the bodies of some departed are given to the eagles. Sometimes this body belongs to a bad person, who has done bad deeds and murders while alive and then eagles don’t want to eat him/her. [He laughs]. The body can lie there for 3 days and not a single eagle can appear. Then, worried relatives of the dead can invite a teacher to do the practice Ch?. Different rituals can be done and a hand or leg can be cut from the corpse in order to invite the eagles. Despite this the eagles may not come. The teacher himself can feel compassion towards the dead and can make a ritual and can invite the birds to come – then the birds can come and eat the body, but without much pleasure [He laughs]. When the bodies of other departed who have been good while alive are offered to the birds, eagles from many faraway places rush to fly and eat them. This is because eagles possess clairvoyance and can see them from thousands of kilometers. The main eagle, the leader of eagles, communicates to the rest where they should meet. There he dances over the body, pecks a bit from it and flies away, leaving the body to the rest. It is very interesting to observe this. [He laughs]. What is the opinion of Tibetans about the ritual killing of samurais with hara-kiri? They probably don’t have a choice because this is their tradition. When they have done something wrong, they are obliged to do it, but this is not a good way to die. Suicide is a mistake. It’s not the right way. It’s like you are in the army, you feel remorse and you decide to kill yourself. One’s own life should not be taken by one’s own hands, because the soul remains shocked and the bad karma from this deed will punish you. You can kill your body, but karma will punish your soul. Does the soul leave the body through the fontanel? For most people this is hard to achieve. In most cases the soul exits through the nose, the secret place, the “toilet” place or through the eyes or the ears. In the end, when everything dissolves, it exits through one of the nine gates of the body. In different people the soul exits through a different opening. For you to exit through this place – the central channel on the top of the head and not the fontanel – you need a bit of practice. This is the Tibetan Phowa practice. 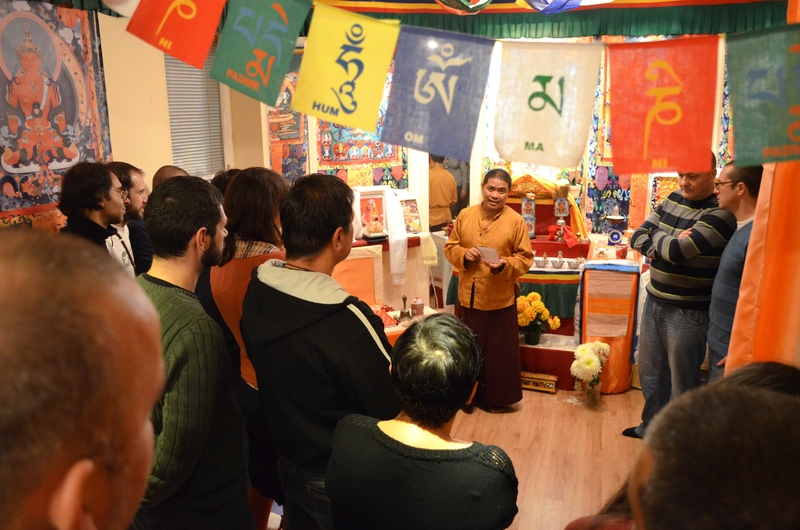 By practicing Phowa, you will be able to transcend to your Paradise after death, to the land of Buddha (Amitabha) or to a different place without the need to go through Bardo. Then you will be able to get reborn into a lotus flower. Is the departure of the soul the reason why the body releases juices a couple of hours after it gets still? This has nothing to do with the departure of the soul. This is only water which has remained in the body. But truly good practitioners emit a white or a red liquid (bindu). In which moment does the mind forget its previous life and why? This usually happens in the middle of Bardo when the soul stops thinking about its previous life and it starts preparing for its next reincarnation. Can the body be buried three days after death? It doesn’t matter that much. One night after death, the body can be burnt or buried. However, through meditation some people who are accomplished practitioners can remain in their bodies longer, so the body can be kept. In people who don’t practice, the soul momentarily leaves the body. The body shouldn’t be kept for long, because it starts decaying and smelling. If you want to preserve it, you should keep it in salt and sand or ice. The soul is still conscious and its departure from the body has already happened. Now I can sing a prayer to Chenrezig and together we can sing Om Mani Peme Hung. This is the mantra of compassion towards the dead and the alive. For the followers of Buddha it is important that they offer the dead food and other sacrifices, because it’s really heavy for them in Bardo. They search for food. They are nervous and scared and it’s difficult for them to find their way for the duration of many days. In this moment, you should show goodness and compassion by singing Om Mani Peme Hung or by offering them food so that they can receive it. Then they are very happy. They don’t have teeth to eat it. Their souls feed on the aroma of food, but only if it’s offered. You can offer them food at any time only through your thought of them. You can also see a flower, smell incense, see light and give these things to them by thinking about them with goodness. Then they can receive these gifts. Souls can see the food, but if someone doesn’t give it to them, they can’t receive it. That’s why we are the people who will offer them these things, who will think of them. This will bring us happiness and good karma. This is enough information right? I hope that all of you have understood a bit of this topic. Understanding death is very important. 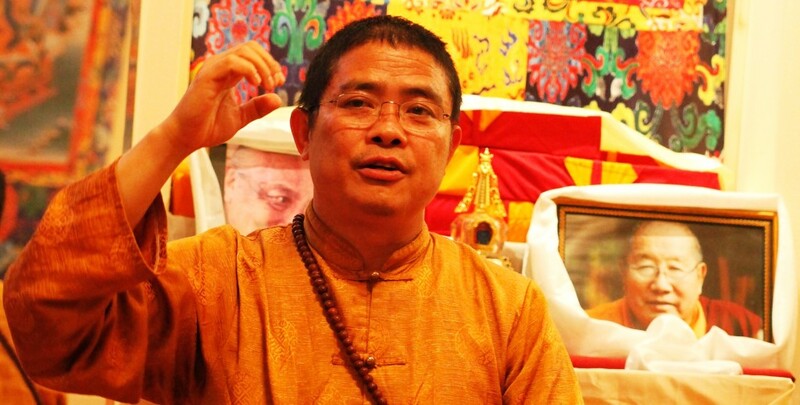 What happens after death is explained very clearly in the Tibetan Vajrayana tradition. In the Hinayana tradition (for example, practiced in Thailand) and in the Mahayana tradition, people also believe in reincarnation, but don’t explain how it is happening. Tibetan tantric Vajrayana Buddhism is very specific about these questions. That’s why you should explore them and prepare your soul carefully for this moment. I have searched within Hinayana, Hinduism, and Christianity and no one explains clearly enough about death and afterlife. I found specific details about these questions only in Tibetan Buddhist texts. That’s why we should search in this direction and know how to prepare already in the current moment. This is very important.